BSS DPR402 Compressor/Peak Limiter/DeEsser. In fairly good condition for its ages. Fully tested and working great! I have 2 units available in similar condition. Sensible offers considered. The RNC provides quality compression at a budget price. Stereo compressor in 1/3 rack size. This approach, however, still processes the main audio in the analog domain, avoiding the problems associated with digital audio conversion (e.g., latency, digital artifacts). Serial # A 60728 8315. An excellent addition to anyone's collection. Great Effects. Be careful with this as it can sound bit weird if overdone. Boss DE 200 1980's Vintage Delay effects Unit. In average condition. As you can see from the photos, the DE-200 is missing the front panel knobs, but the unit works fine. Excellent Condition, Used. This two channel unit provides everything there is in dynamics processing. Also a de-esser to limit sibilance and a peak limiter. Inputs and outputs are balanced and available on both XLR and TRS connectors. Professional easy rider compressor and gate / sounds modern and wide. It is in good clean working condition. The power cable is a continental plug. Here is my new GUITAR AUDIO ECHO DELAY board! YOU WILL GET PCB ONLY. NO ANY PARTS. High input impedance. There is also a load resistor at the output. There is a circuit diagram in one of the pictures attached. Mac or PC friendly, just bang in a cat5 and type in the ip to your web browser and boom! 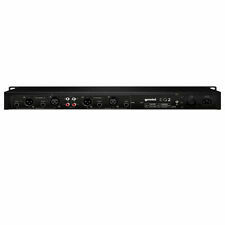 Really handy if you need to send audio to a touring console and need a fast, lightweight solution without using analogue splits. Lexicon LXP-1 Vintage Effects Processor. It provides crossovers, eq, and protection of speakers from being overdriven via the sense connections made to the amplifier outputs. It has passed a full audio test with no faults or crackles discovered. Lexicon LXP-5 Vintage Stereo Multi-Effects Processor. Holding up impressively well despite its age. A bit of brasso would sort it right out. Images also include a shot of the internals of the unit to show that it is still mostly connected bar the one section that needs a solder. 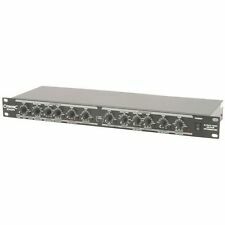 Behringer Feedback Destroyer DSP1124p. Condition is Used, but stored in a rack it’s whole life. I have 2 to sell, listed separately, but message if interested in both. Fixed mistakes, there are no any more free holes in the PCB. Here is my newAUDIO ECHO DELAY board! GUITAR can be as signal source too. WHAT YOU WILL GET. Great vocal effects from TC Helicon. No longer required and in great condition. Cost £289 a few years ago, priced for quick sale. ForSale UAD-2 PCIe card. Used in a smoke free studio. The UAD-2 Duo gives producers and engineers asimple, powerful entry point into the award-winning UAD Powered Plug-Insplatform on Mac or PC. · Includes “Analog Classics” plug-in bundle,featuring LA-2A Classic Audio Leveler, 1176LN / 1176SE ClassicLimiting Amplifiers, Pultec EQP-1A and Realverb Pro plug-ins. "In the late '90s, SPL revolutionized the recording and live sound industries with their introduction of the Transient Designer. Birthing a sea change in dynamics processing, the analog Transient Designer and its plugin counterpart both use SPL's Differential Envelope Technology to produce level-independent dynamics processing. If you are looking to upgrade your Eventide H3000 or H3500 then search no more, this is the ultimate upgrade! All H3000's and H3500's can be upgraded to full H3500B-DFX specs. Eventide H3000 'Ultimate Maximum Preset' OS upgrade to H3500B-DFX specs! 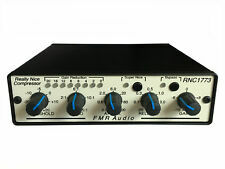 FCS P3S ME Stereo Mastering Compressor. Excellent Condition. As good as new. Professional mastering compressor. serial number 134. 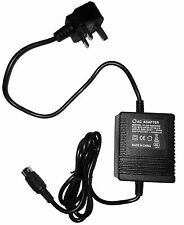 Joe Meek Pro Channel VC3 v2 I don’t have the box or power cable unfortunately however it’s a typical standard power supply which are easy to pick up. Thanks. Zoom Studio 1204 - Multi Effects Processor. Very good condition. Zoom Studio 1204 - Multi Effects Processor. Reverb processor which goes in out boards working . Sold as seen . You can rack mount this unit too. Output: 48V. 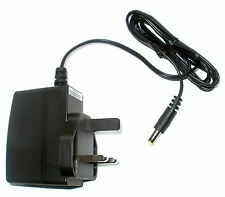 -Provides 48V DC phantom power for condenser mic. -On/off power switch and LED indicator for ease of operation. Plug Type: US Plug. Input: 110-220V. We will try our best to reduce the risk of the custom duties. Compact delay pedal with superb BOSS sound quality. Boss DD-3 ECHO Pedal. This pedal works perfectly. The front input doesn't appear to be usable but it may be the guitar input is the rear one which is working fine. Effects inc Dynamic Filter, Compressor, Overdrive, Distortion, Phaser, Equaliser, Chorus and Digital Delay. Read Description for shipping info ! An affordable, 500 Series equalizer modeled after Pultec's legendary passive EQ design. PEX-500VIN 500 Series Equalizer Features Compatible with all standard API 500 Series compliant racks. Sebatron Four-eyes VU audio metering unit. The delayed signals are then mixed with the left and right clean signals, emulating a 'real life' reverberation where the reflected sound waves would be heard binaural. This has a great sound - and looks good in the studio with the blue screen lit up showing the amount of reverb added. Very clean and transparent compressor limiter for mastering use. Xlr I/O and iec power connector. Perfect condition only been sitting in racked in my studio smoke free. With box etc. This is a great bit of kit cloned from the classic la3a. Sounds great on any source I’ve put through it, you can link them for stereo if you have two... I did have two but sold one not long ago and needs must so letting the other one go now. Any questions please ask 07734548182 Happy to post or collection preferred. Roland SDE-1000 digital delay. 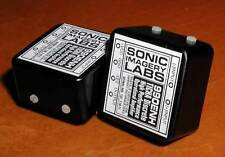 great sounding clean digital delay.